If you are in a chapter 13 bankruptcy, then your tax refund is likely the only chance you have at trying to get ahead. However, the Chapter 13 Trustee will almost always attempt to take your tax refund while in a chapter 13. If you want to keep your tax refund, there are several things that may help. The Trustee’s default position depends on your jurisdiction. In Dallas and Fort Worth, the Trustee will allow you to keep $2,000 of your refund and will require you to turn over the surplus. So, if you get a $4,000 refund the Trustee would allow you to keep $2,000 and you would then be required to turn over the remaining $2,000. However, like most rules there are exceptions. There is a process in place that allows you to petition the Court to keep all your refund. If you can establish that the refund is needed for necessary expenses that were unexpected, then you may have a chance at keeping the full tax refund. Remember, the key is that the expense is NECESSARY and is not something that you already budget for. Vehicle repairs are a good example. If you need to replace your transmission that would be an unexpected expense. Also, if your house had a water leak and you had to fix that, that would also be an expense. It’s essential that you get with your attorney as soon as you know what your refund is to make sure the expenses you want to use the refund for are going to be allowed by the Court. You cannot do anything to change your tax credits, but you can change your tax withholdings to ensure that you receive a smaller refund. This is the best approach. 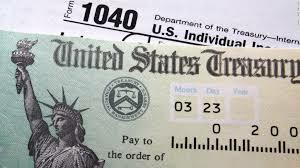 I would recommend you look at your last year tax refund and tax withholdings and get with your HR department to change your withholdings to reduce your tax refund. As always, make sure you discuss this in detail with your Attorney.